Fruity, icy and occasionally boozy, slushies are just the best on a hot day. Before you run off to your nearest convenience store for a supersize bucketful of artificial flavoring, try making your own delicious slushie at home with one of these refreshing recipes. 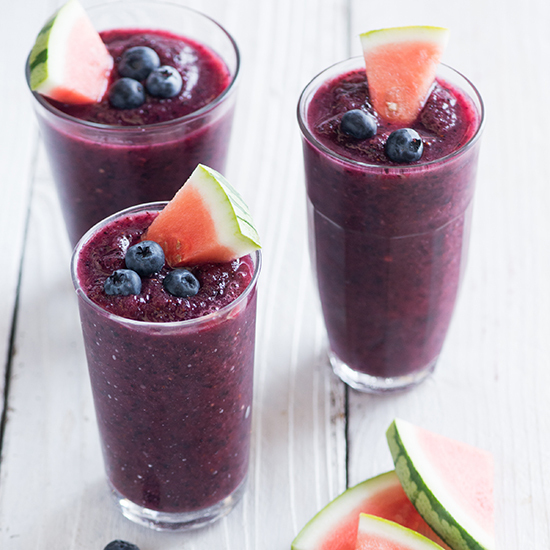 This terrifically fruity, vibrantly colored drink is great at any time of day. Bright and healthy, this slushie is sweetened with honey. Try adding rum to these tart, herbaceous drinks. This herb-infused lemonade was inspired by a classic Israeli drink called a lemon nana. These slushy, potent cocktails are easy to make in big batches, so they’re perfect for parties. Grilled pineapple juice gives this icy cocktail a terrific, smoky flavor.